Are you one of those who really like to sit and work on video editing? 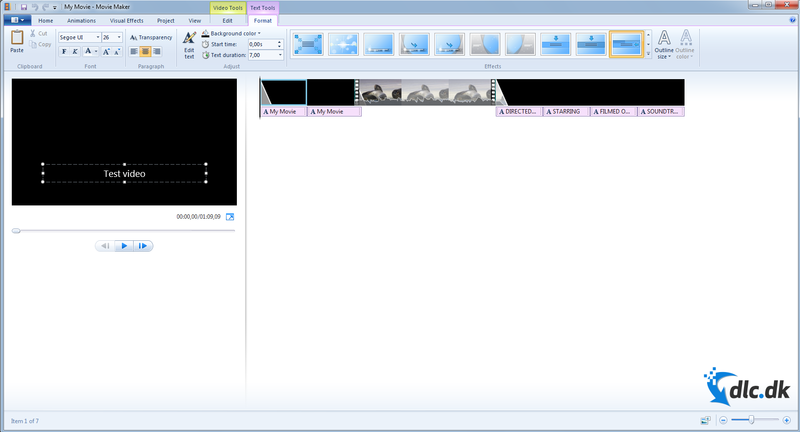 Then it might be an idea for you to download Windows Movie Maker as the program allows you to do just that. 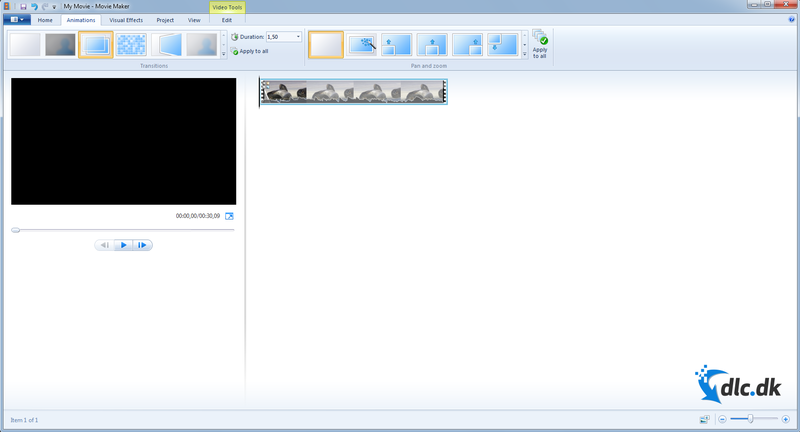 With Windows Movie Maker, you can very small and big movies. The program contains some exciting features that make this possible. One can quickly spend a lot of time on it, as there are so many things to choose from. So you can try your way back and forth with various possibilities before you hit exactly the effect that one finds right. You must therefore also be a person with patience if you try video editing. 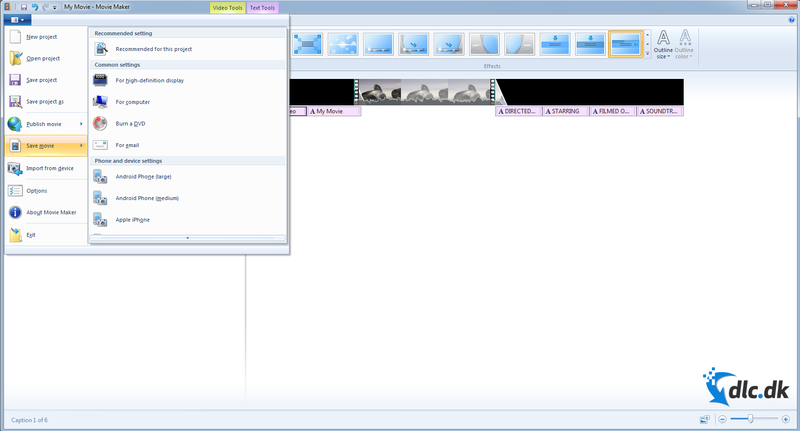 When you open Windows Movie Maker, you will find that you can make movies both with pictures and videos, and you will also be able to mix both formats. There are many users who find this useful, as one can encounter cases where one really wants a picture in their movie, but often editing programs do not allow this when it comes to making movies. But you get the opportunity here, and you will no doubt use that feature at some point. Over your photos and videos, you can also add exactly the music you find appropriate. Thus, you can also make a rather unique combination that only you have made. It thus becomes your very own. It's also why you can quickly spend a long time on it, as you want to find the right video, the very pictures and the right music. One of the things that makes it possible to put one's own personal touch on one's films is the possibility of the many different special effects. Because of them, you can really make the movie appear exactly as you imagined it. With these special effects you will also not find that the film becomes boring to look at. The effects are, for example, that you can add some filters to one's pictures and videos, and you can make different sliding transitions between one's series of pictures and videos so that they do not automatically follow each other without something exciting to look at. One can, for example, read a little more about the effects and the possibilities here, if you would like to become a little wiser on it and see some more concrete examples. There are many different programs if you want to find one that can help with some movie editing. However, many of them cost money, and it is often high end prices. Of course, you can also easily find some good alternatives that are also free to download, so you can also consider doing instead or as a supplement to Windows Movie Maker. You can, for example, use the VideoPad Video Editor, which is also a very recognized editing program, as you also get free opportunity to make movies just as you like. You can also try the VSDC Free Video Editor, which has also got some really good reviews from the users, which sounds like 5 out of 5 stars. Both programs can be really good alternatives if you want to try something else. Unfortunately, not everyone has the ability to download Windows Live Movie Maker, even though it was the best. If you use Windows 7, 8 or 10 as a system, you can easily download the program to your computer. It is uncertain whether the program will ever be available on other systems, so those who do not have the right system should try something else instead. This could be, for example, the editing programs mentioned under the alternatives section. It is therefore not impossible to make your own small films, even if you cannot get exactly this program. Where there's a will there's a way. You can just try to get a little out of the way, and suddenly you want to goDon't surely find a program that meets your expectations. Generally, only happy users of Windows Movie Maker are there. The overall rating is about 4 stars out of 5 stars, and the critics have chosen to drop the program to 80/100 points. You can therefore count on a satisfactory experience of the program if you choose to listen to other people's experiences. However, it is recommended that you try to view the program yourself, as it is difficult for others to know and determine what you need in an editing program. You know the very best yourself, so if you want a subjective attitude to the program, then you can accept the offer and download it for free. It will therefore not have extra costs to try out the program. 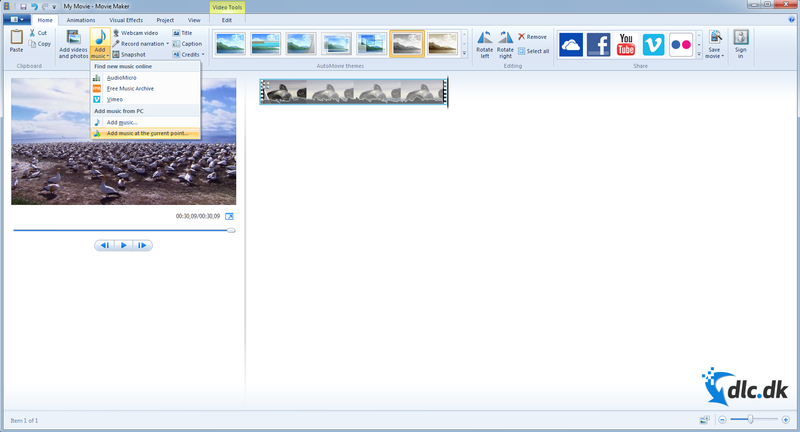 What you basically get with Windows Movie Maker is the ability to edit some movies where you can put together a unique combination of images, videos, music and effects. You will have ample opportunity to choose from a lot of different possibilities, so you have to expect that you can spend a lot of time on the program - if you have the opportunity to download it to your computer and have the right system. If you want to try some other programs, you have the opportunity to examine it with, for example, the two examples you find in the notification section's alternatives. This can be done, for example, if you are not satisfied with Windows Movie Maker for one reason or another, despite the many good notices of the program. But perhaps one does not agree with what is needed before it is a good program. Remember that Windows Movie Maker is a relevant simple program, which means it can be limited in terms of effects and editing capabilities. Find Windows Live Movie Maker, mark it and choose "Uninstall"
Should Windows Live Movie Maker has been damaged or corrupted and thereby difficult to remove we can recommend you finding help to uninstall it here.